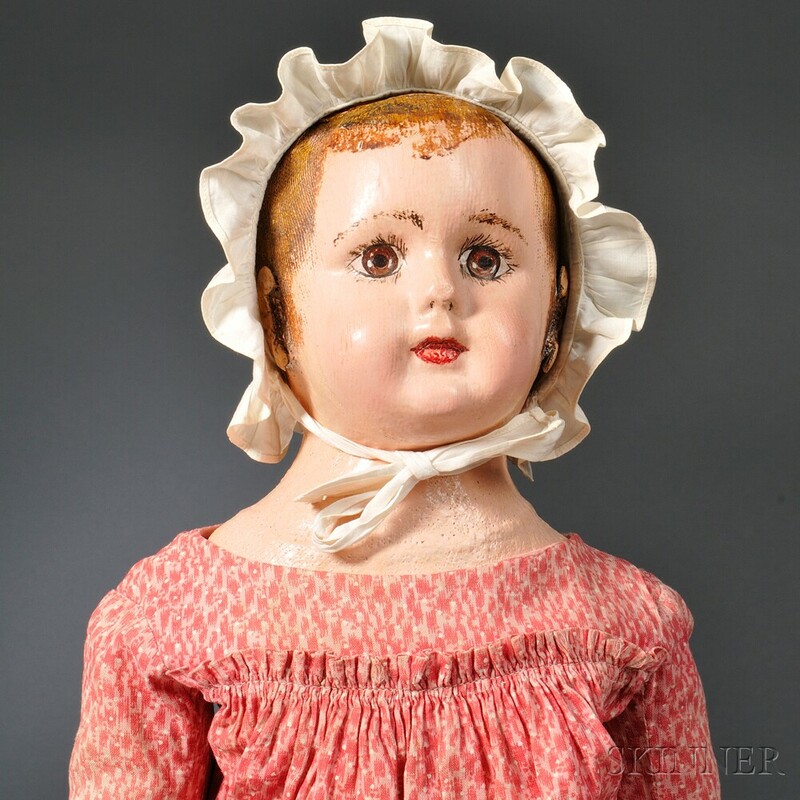 Alabama Molded and Painted Cloth Doll, America, early 20th century, oil painted finish with bright coloring, brown painted eyes, red outlined lips, applied ears flat to head, cloth body, painted arms, lower legs with blue boots, red cotton print dress, ht. 23 in. minimal crazing to face, original blue boot painting is the full length of lower leg.